If you need a root canal, you might be anxious about the procedure. The experienced team of dentists at Village Family Dental in Clemmons, North Carolina want you to know that root canals don’t have to be unpleasant or anxiety-inducing. The accomplished dental team at Village Family Dental completes comfortable root canals every day. Call or book an appointment online today to learn more. A root canal is a dental procedure intended to eliminate oral discomfort and restore an infected tooth. 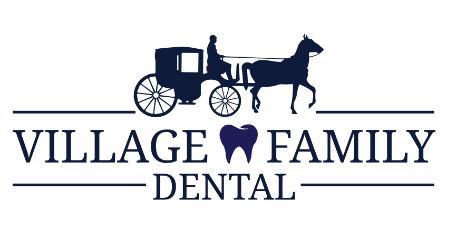 A skilled dentist at Village Family Dental eliminates bacteria and dead or dying tissue from inside your tooth when it becomes severely infected. Doing so eliminates pain and preserves the tooth. Roots and tissue inside your teeth can become infected by bacteria as a result of injury or a cavity that’s left untreated. If you don’t get to a dentist in time, the infected tissue can reach the pulp, or root, of your tooth. A severely infected tooth can lead to tooth loss. How can I recognize an infected tooth? Call Village Family Dental right away if you experience any of these symptoms. Typically, a highly skilled dentist at Village Family Dental takes care of an infected tooth in one or two visits. You could first require X-rays so your dentist can judge the magnitude of damage an infected tooth has caused. Your dentist numbs the affected region with a local anesthetic to make sure you don't feel pain during the procedure. Occasionally, your dentist puts a dental dam – a little piece of rubber – on your tooth to preserve its cleanliness and protect it from bacteria during the procedure. Call Village Family Dental today or book a consultation online if you have signs or symptoms of a tooth infection, to find out if you’re a good candidate for a root canal.